SACRAMENTO, Calif. (CN) – Pushing back on the Trump administration’s trade war, a California Democrat wants to boost newspapers struggling with exploding production costs in wake of U.S. tariffs on Canadian paper companies. 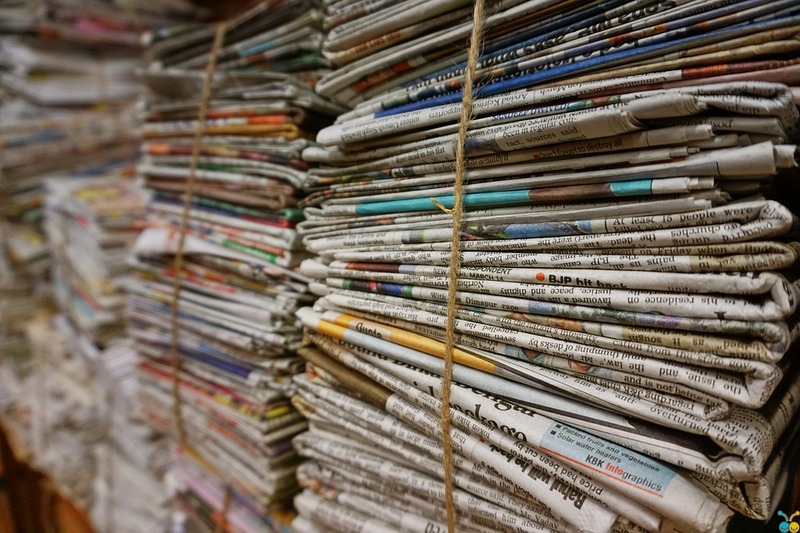 Marin County Assemblyman Marc Levine said Thursday he’s preparing legislation that would exempt newspapers from state sales taxes in hopes of countering the federal government’s paper tariff. Levine chided the tariff – and President Donald Trump, for painting journalists as enemies of the public. Levine’s blueprint is hazy at this point, but his office says the eventual bill will “adopt labor policies to protect workers when newspapers change hands.” Levine says he plans to meet with interested parties to craft the final product, likely through meetings with the California News Publishers Association and other media groups. In the meantime, U.S. regulators said Thursday they will continue to tax Canadian paper companies they believe are benefiting from Canadian subsidies and undercutting American paper companies, albeit at a lower rate. Sparked by opposition from Congress and media companies, the U.S. Commerce Department announced revised tariffs Thursday, easing penalties on several Canadian newsprint producers. Trump ordered the tariffs in January after a paper producer in Washington state complained Canadian competitors benefit from government subsidies to sell their product cheaply in the U.S.
Newsprint is made from uncoated groundwood and is generally the second-largest expense for American newspapers. A bipartisan mix of lawmakers blasted the tariffs last month at a U.S. International Trade Commission hearing. They warned small newspapers faced budget cuts and even closures because of increased costs for paper. Not a single lawmaker testified in support of the tariffs at the July 17 meeting in Washington, D.C.
“It defies logic that North Pacific Paper Company, just one mill located in the opposite end of the United States, can create this type of disruption and uncertainty,” said Sen. Roger Wicker, R-Miss. The trade commission is scheduled to rule on whether to make the tariffs permanent in September. Industry leaders said they appreciated the reduced tariffs but implored the trade commission to dump the tariffs for good. The tariffs have coincided with massive layoffs at many large newspapers across the country. The Denver Post’s hedge fund owners fired 30 people in March despite a nearly 20 percent profit margin, while the Tronc-owned New York Daily News cut half its newsroom staff in July. Newsroom layoffs have plagued the industry for over a decade. According to a Pew Research Center analysis, there were around 71,000 U.S. newsroom employees in 2008. By last year, that number dropped to 39,200.